PDF Edit Express is a ridiculously innovative PDF and TXT Editor for iOS and macOS! PDF Edit Express features PDF Markup, Annotation, OCR (Optical Character Recognition) PDF to TXT, Fill out Forms, Mark off Checkboxes, Stamp PDFs, Draw on PDFs, embed QR Codes, embed Barcodes, and much much more! Using modern iCloud technology, PDF Edit Express not only keeps all your PDFs synced across all your devices, but also features iCloud Drive* and iCloud HandOff/Continuity so you can transfer PDFs between devices instantly** Markup PDFs, Annotate, Mark off checkboxes, Insert Images, Add Text, even add Web Pages; all with unparalleled ease. 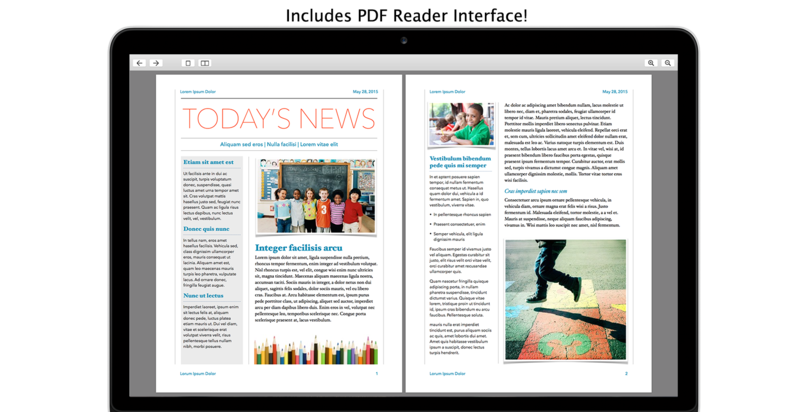 With all these features, PDF Edit Express miraculously still manages to be one of the easiest to use PDF Editors in the world! 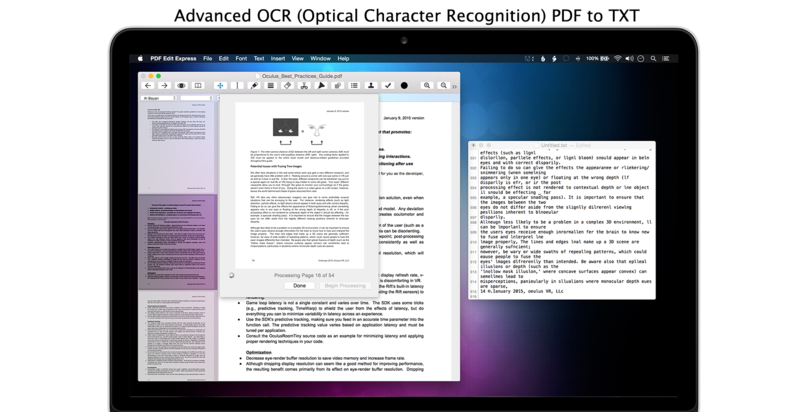 And best of all PDF Edit Express is free for iOS and only $6.99 (U.S) for macOS! 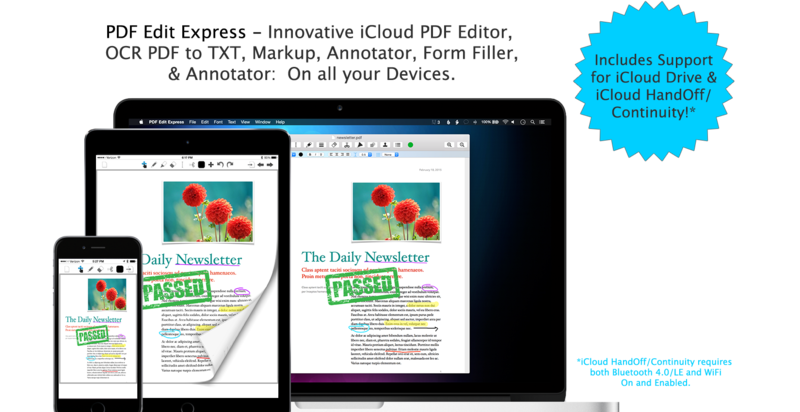 Learn how to use PDF Edit Express as well as learn how to make the most out of iCloud! Visit our Support Site. 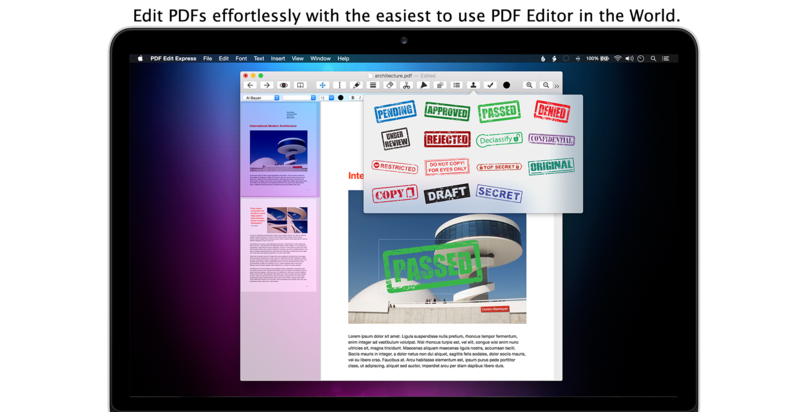 iCloud is completely optional -- PDF Edit Express works just as well offline as online!